Last year's top3 event from ENISA's cyber security month of October. 8+ parallel sessions, many different ITSEC trending topics, over 80 international speakers, all sessions live video streaming and free access to all its content. Happens in Riga, Latvia annually. DSS ITSEC is Baltic’s largest, annual security vendor independent conference and exhibition, launched by Data Security Solutions in 2010, in eort to promote Information Technology Security in the region. The conference is widely recognized for its rich content and splendid international outreach. Year 2016 marks 7 years of contribution to strengthening Regional Cyber Security by DSS and its partners. 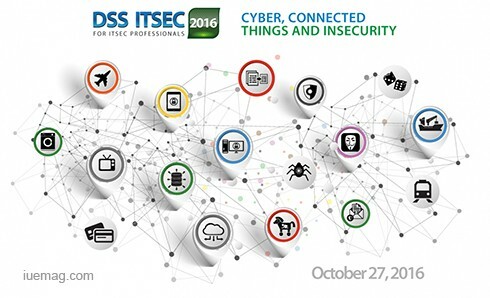 The DSSITSEC 2016 will focus on the future of ICT Security Sector in the Baltics, Nordics, CEE, and CIS regions, discussing evolving industry trends, creating new partnerships, sharing best practices and most recent technological developments. The DSS ITSEC brings together high-level ICT professionals from local, regional, and international businesses, governments and government agencies, tech communities, national and public sectors. The conference covers a broad set of topics, starting from development of ICT security skills and Awareness Raising, to modern market developments and numerous technological solutions in the Cloud, Data, Mobility, Network, Application, Endpoint, Identity & Access, and Security System management to corporate and government strategies and the future of the sector. The panel discussion, presentation, interactive debates, and the exhibition hall focus on a diverse range of security issues, enabling delegates to choose their own key areas of interest. Any facts, figures or references stated here are made by the author & don't reflect the endorsement of iU at all times unless otherwise drafted by official staff at iU. This article was first published here on 30th September 2016.